The human body is made up of a number of different types of organs, which help us grow and stay healthy. While all of these organs are important, the nervous system—which features the brain—is one of the most important. Without our brain, our ability to walk, talk, and dress would be very difficult, if not impossible. People who are interested in learning more about the brain are should first understand its parts and the way those parts work. Knowing the responsibilities of the nervous system is also important for those who hope to learn more about this important part of the body. Currently, there are four individually-recognized parts of the brain. These include the cerebellum, cerebrum, brain stem, and limbic system. The biggest part of the brain is the cerebrum, and is divided into the frontal, parietal, temporal, and occipital lobes. While these different parts of the brain do have their own functions, they must also work together to ensure optimal results in human health. Unsurprisingly, the different parts of the brain have different jobs. For example, the cerebrum is responsible for thoughts, such as reasoning, planning, emotions, problem-solving, and perceptions. The cerebellum works to maintain balance, muscle tone, and gait. The brain stem is especially important since it is important for blood pressure, respiration, and heart rate. Finally, the limbic system controls hunger, thirst, memory, fear, and emotion. These different processes must often work together. The nervous system is the series of nerve cells that send messages back and forth between different parts of the body. As with the brain, there are a number of functions of the nervous system. Specifically, the nervous system provides a lot of information about the environment, such as temperature, smell, sound, and taste. Without the assistance of the nervous system, the brain would not be able to function properly. Your Brain and Nervous System—Discusses the various parts of the brain and their individual function. Brain and Nerves—Interactive tool for kids who want to learn more about the brain and how it works. How the Brain Works—Description of the different parts of the brain and describes what happens during dysfunction. How Does the Brain Work?—Video that helps explain how the brain works. The Brain—Quizzes, game, and information to help kids learn more about the brain. 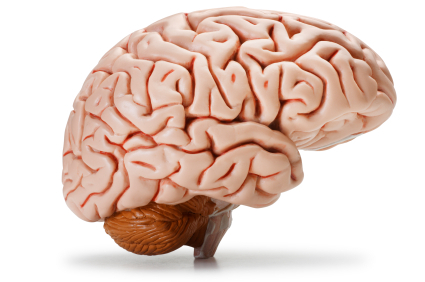 Learn About the Human Brain—Video that explains the parts and functions of the human brain. Brain Injury: How the Brain Works—Anatomy of the brain and their importance in health and functioning. The Spinal Cord and the Brain: How the Brain Works—Description for kids of the functions of the brain. Neuroscience for Kids—Online games and tools designed to teach kids more about the human brain. Parts of Your Brain, and What They Do!—Describes brain anatomy and function. Brain Works for Kids Quizzes—Games to provide kids with information about the anatomy and ability of the brain. Kids Brains at MIT—Participative studies to help kids learn more about the human brain. The Teen Brain: There is an Explanation!—Information specifically related to the teenage brain. How the Brain Learns Best—Article discussing the manner in which the brain functions. Nervous System—Parts of the nervous system and their individual purpose. Kids Biology: Nervous System—Tools to teach kids about the nervous system. The Nervous System for Kids –Tips for kids, teachers, and parents about the nervous system. IMPCL Kids’ Info Guide: Nervous System—Informational guide related to the human nervous system. The Human Body—Information on the nervous system and other parts of the human body. Mrs. Yasner’s Classroom: Nervous System—Questions to help kids learn more about the nervous system. About the Nervous System—Facts and information about the nervous system. The Human Body: Body Systems—Additional reference materials for kids who want to learn more about the nervous system and other parts of the body.